Wisdom of Life. : Never too old to be at work. Have you retired? Many of my friends have. Some even retired at their early fifties, and later have to depend financially on their children. Instead of thinking ways and means to make a living, they request an increase of allowance from the children who might be hard hit as well. I think all these retirees should take a short trip to Singapore where all senior citizens are given opportunities to work. I was in Singapore last weekend with my son and family. While having meals at all those malls and food courts, I could see with my own eyes, old folks were employed in these eateries. 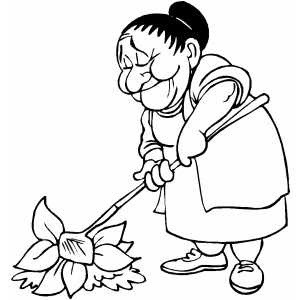 Some were at their early seventies who worked as cleaners and waiters. They looked healthy and cheerful to me, and were proud to be at their job. I hardly saw any foreign worker, and all food courts were manned by the own people who prepared better and tastier food. Not like Kuala Lumpur, my home where most eateries, including hawker's foods are prepared by foreign workers instead. We are too dependable on foreign employees who know very little of our local taste. Our older folks retired earlier than expected and our younger generation is not willing to work. I wonder this is going to be good for our country, the people with wrong attitude and ethic in work. Food for thought - "In your hands you hold the seeds of failure or the potential for greatness. Your hands are capable, but they must be used and for the right things to reap the rewards you are capable of attaining. The choice is yours" ~ Zig Ziglar.